In this "after" photo of a recent customer residence, significant water damage on the walls, ceiling and floors left no trace of any damage after our Rainbow-exclusive Rapid Structural Drying System. 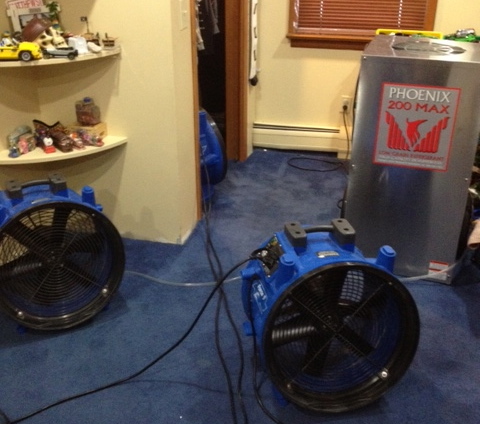 Our industrial fans and industrial dehumidifier hard at work drying a bedroom closet after a pipe burst. 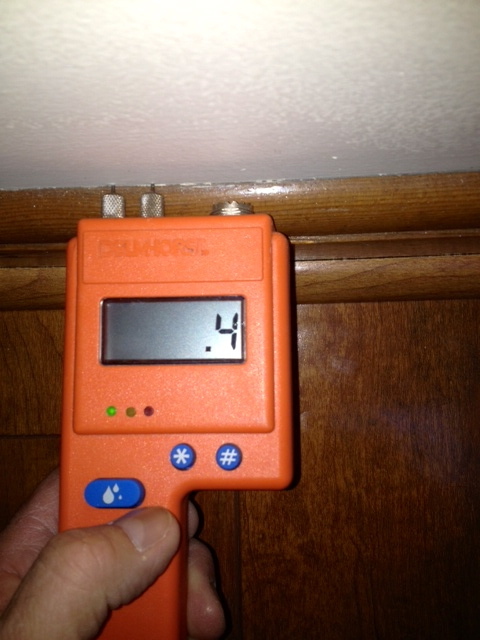 We monitor moisture readings throughout the restoration process to ensure your home returns to its pre-loss state. 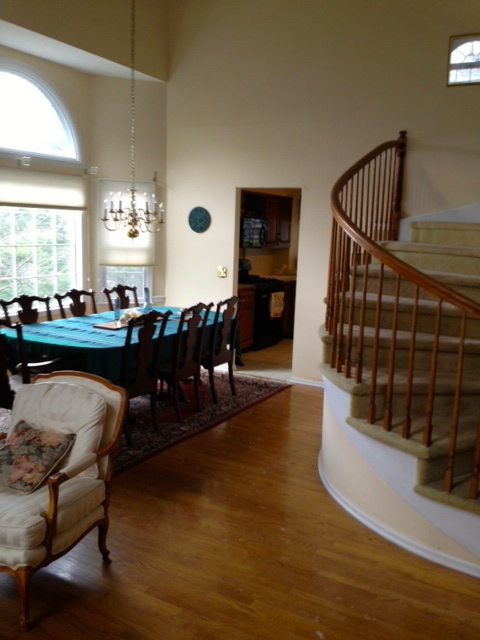 In this Bedminster, NJ home, a pipe in the kitchen ceiling burst. Damaged ceiling dry wall, framing in the kitchen and living room, and hardwood floors were repaired with Rainbow's Rapid Structural Drying system. 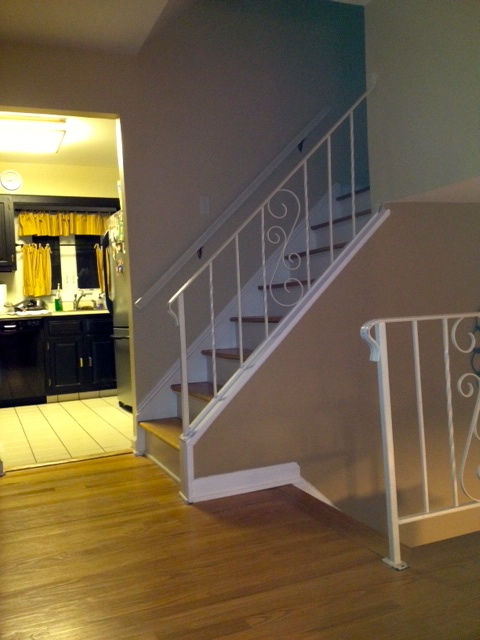 NO demolition was needed, and the home was brought back to its pre-loss state. 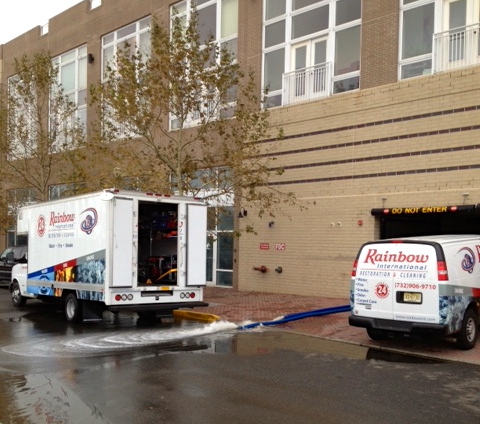 Here, our 24/7 emergency Rainbow trucks recently pumped 40,000 gallons of water out of a flooded commercial parking garage in Perth Amboy, NJ. 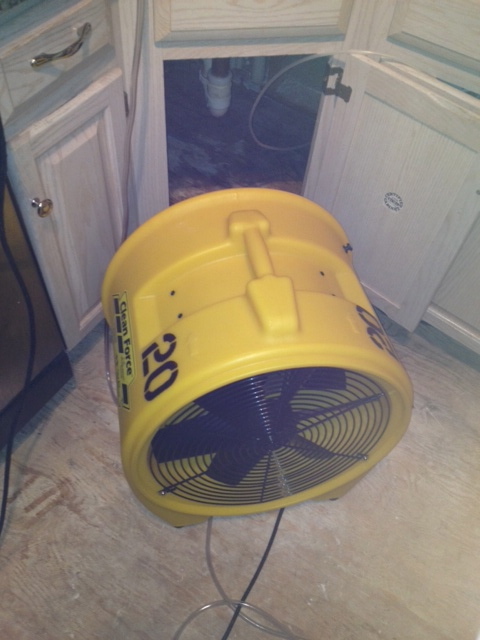 A small pipe recently burst in a customer's kitchen cabinet, potentially hazardous mold issue if not treated properly. Thankfully, Rainbow International of Edison got the job done with our industrial equipment. 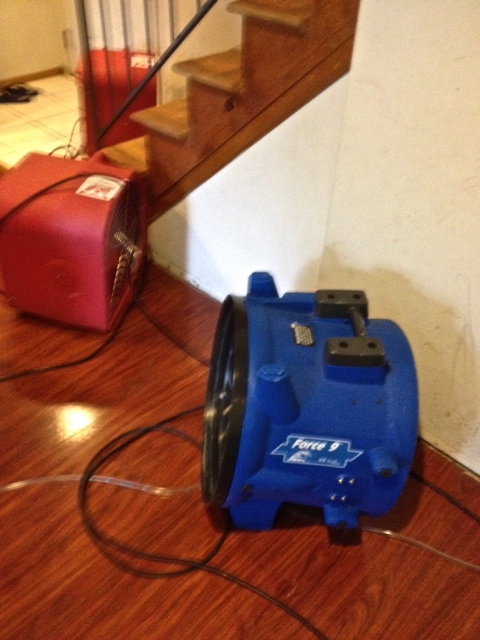 In this home, strategically placed industrial fans to move the moisture to our Rainbow dehumidifier. 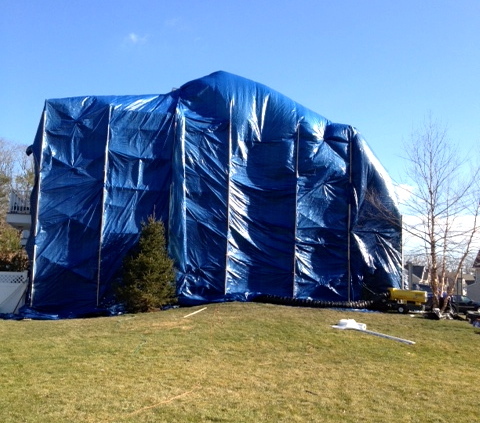 We recently covered an entire home in Old Bridge, NJ as part of our Stucco Replacement Mold Remediation Drying Process.